Click Here to get more fresh sneak-peeks. Heres The REAL Reason Why Bigg Boss 12s Sreesanth Is Angry & Unfollowed ‘Sister Dipika! 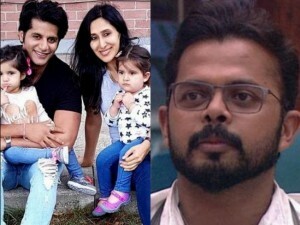 Bigg Boss 12's Sreesanth Unfollows ‘Sister Dipika Kakar & The Reason Will SHOCK You! Are Bigg Boss 12s Srishty Rode & Rohit Suchanti More Than Friends? Bigg Boss 12 contestants Shivashish Mishra and Roshmi Banik dating each other? Bigg Boss 12: Did Sreesanth Insult Hina Khan & Gauahar Khan? Hina Responds! 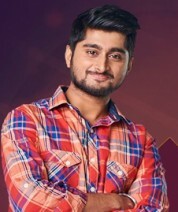 BB 12: Somi Clarifies That Deepak & Romil Are Just Friends; Says Dipika Is Not Fake But Cunning! BB 12: Deepak & Surbhi Get Secret Tasks; Gautam Gulati & Juhi To Enter; Mid-Week Eviction Expected! Bigg Boss 12's Rohit Calls Jasleen Extremely Lazy; Reacts To Being Called Bisexual On The Show! BB 12 VIRAL Video: Sreesanth Admits He Is Getting Special Treatment; Fans Question The Makers! 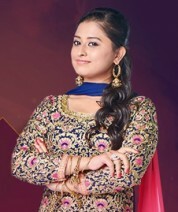 Bigg Boss 12 Spoiler: Dipika, Surbhi Or Deepak - Heres Who Won Ticket To Finale Task! SHOCKING! 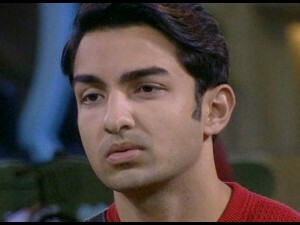 Arshi Says Vikas Snatched Her Opportunity of BB 12 Enrty & Gave It To Rohit Suchanti! Bigg Boss 12: Teejay Speaks Up For Karanvir Bohra Yet Again; Slams Makers For Being Biased! 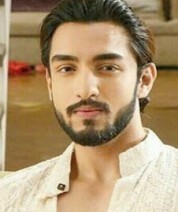 BB 12: Rohit Suchanti Feels Sreesanth Is Not Mentally Fit; Wants A Girl Like Srishty To Be His Wife! Bigg Boss 11s Shilpa Shinde Calls Vikas Gupta Mafia Of The Industry; He Says She Needs To Move On! 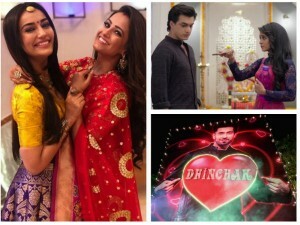 Latest TRP Ratings: Kundali Bhagya Overtakes Naagin 3; Bigg Boss 12 Is Back In TRP Race! 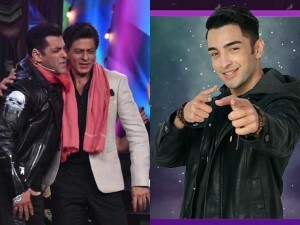 BB 12: Rohit Suchanti Eliminated; Double Ishqbaazi On Bigg Boss As Salman & SRK Are Back Together! BB 12: Dipika & Shoaibs Reunion Compared To Hina & Rockys Reunion; Fans & Celebs Find It Adorable! 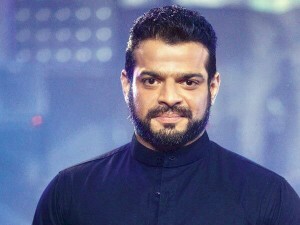 Bigg Boss 12: Shoaib On Calling Sreesanth 'Saale Sahab' & Seeing Dipika; Was Nervous About This! BB 12: Somi & Romil Upset As People Misunderstand Their Relationship;Nominated Contestants Revealed! Bigg Boss 12: Sreesanths Wife Lashes Out At Surbhi; Karanvirs Daughter Bella Steals The Show! Bigg Boss 12: Surbhi Ranas Brother Feels Housemates Cannot Fathom Her Honesty & Love For The Game! Bigg Boss 12: What Teejay Has To Say About Karanvir Bohra & Sreesanth's Fight Will Surprise You! Bigg Boss 12: Surbhi Rana Gets The Ticket To Semi-finale & Fans Are NOT Happy With It! Bigg Boss 12: Fans Lash Out At Romil Chaudhary For Being Rude With Guest Sara Ali Khan! Bigg Boss 12: Sreesanth Slaps Rohit During Captaincy Task; Double Eviction This Mid-week! 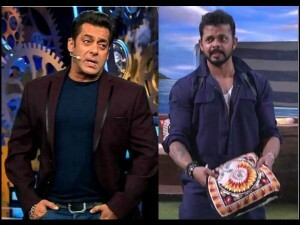 Bigg Boss 12: Salman Bashes Sreesanth & Surbhi; Jasleen Or Megha - Who Is Getting Eliminated? Arshi On Shilpa Shinde Mocking Teejay & Why She Rejected Bigg Boss: Arshis Response Is Surprising! Gauhar Khan Questions Shilpa Shindes Behavior For Mocking Teejay; Gets Slammed By Shilpians! Latest TRP Ratings: Star Plus On Top Slot; Radhakrishn In Top 5; Kasautii Zindagi Kay Drops Down! Shilpa Shinde Takes A Dig At Karanvirs Wife; Fans Lash Out At Her & Regret For Supporting Her! Raj Kundra Comments ‘Epic On Sreesanths Confession Video; Fans & Srees Wife Lash Out At Him! BB 12s Srishty On ‘Saiyan-Bhaiya Comment: Sreesanth Knew About The Line & Didnt Stop Them! BB 12 Spoiler: Sree Breaks Down Recalling Match-fixing Controversy; Nominated Contestants Revealed! Bigg Boss 12 SHOCKING EVICTION: Srishty Rode Eliminated; Naagin 3 Actors, Harshad & Kamya Enter! 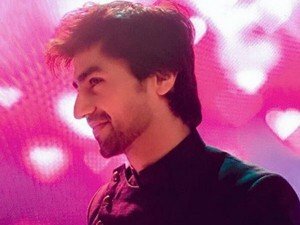 Bepannaah: Harshad Chopda To Promote The Show On Bigg Boss 12; The Show Will Be Aired Online! BB 12: Sreesanth Breaks Silence On Harbhajans Slapgate Controversy; Megha Throws Slipper At Deepak! After Netizens, Ex-BB Contestants Gauhar & Kamya Slam Rohit Suchanti; Vikas Gupta Defends Rohit! 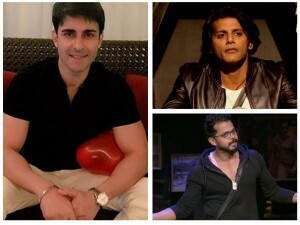 BB 12: Gautam Rode Feels Karanvir Is Playing Well; Surprised To See Sreesanth's Aggressive Side! 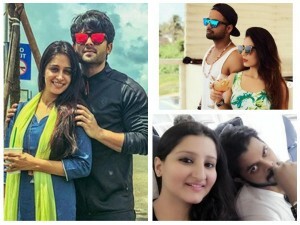 Bigg Boss 12: Srees Wife Supports Dipika; Srishtys Boyfriend Manish Takes A Dig At Shoaika! 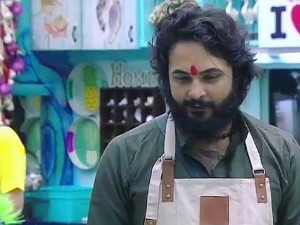 Bigg Boss 12: Saurabh Files Defamation Case; Vikas Changes Views On Shivashish Post Eviction! 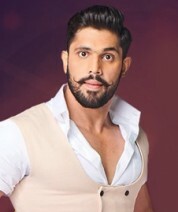 BB 12: Shivashish Says Makers Are Projecting Romil As Probable Winner; Makes SHOCKING Revelations! BB 12: Shoaib Ibrahim Slams Romil & Srishty; Gives Befitting Reply To People Who Call Dipika Fake! Bigg Boss 12: Dipika Angry At Romil As He Drags Her Husband's Name; Nominated Contestants Revealed! 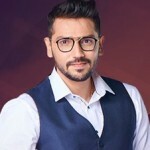 Bigg Boss 12s Evicted Contestant Shivashish Mishra Feels Bigg Boss Is Biased Towards Happy Club! 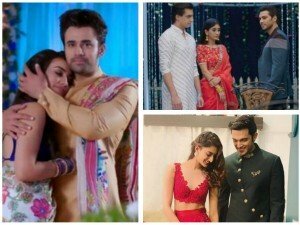 Latest TRP Ratings: Kasautii Zindagi Kay Out Of TRP Chart; YRKKH Witnesses Major Drop! 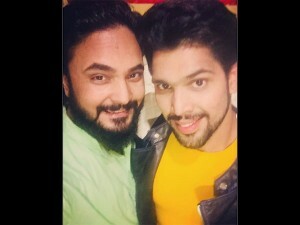 Anup Jalotas First Performance At Pratyushas Beau Rahul Rajs Wedding Post Bigg Boss 12? 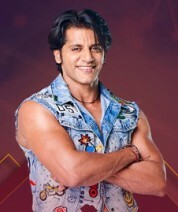 Bigg Boss 12: NO Eviction Post Shivashish Mishras Exit; Anup Jalota Enters The House! BB 12: Srees Wife Disappointed With Shivashishs Eviction; Fans Trend #UnfairEvictionOfShivashish! Bigg Boss 12: SHOCKING! 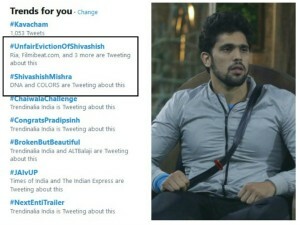 Shivashish Mishra KICKED Out Of The House; Another Eviction On Sunday? BB 12: Shilpa Shinde Takes A Dig At Karanvirs Wife; Sreesanths Wife Lashes Out At Romils Fans! Nakuul Mehta & Kushal Tandon Support Karanvir; Teejay Spends Quality Time With Ishqbaazs Shivika! Srishtys BF Manish Talks About Her & Rohits Closeness; Says She Has Been Loyal & He Trusts Her! 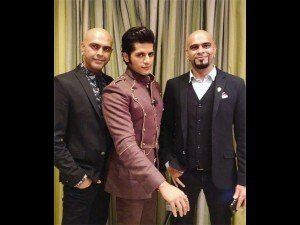 BB 12: Teejay Says Karanvir Is Often Compared To Ranveer Singh; Arjun Bijlani & Kiku Support KVB! Bigg Boss 11 Winner Shilpa Shinde Celebrates Diwali With Arshi Khan! Have They Finally Patched Up? Bigg Boss 12 Luxury Budget Task WINNERS REVEALED! Happy Club Member The Next Captain? Bigg Boss 12 : Manish Says Srishty's All His ; Says He Shall Not Tolerate If Rohit Crosses Limits! WHAT! 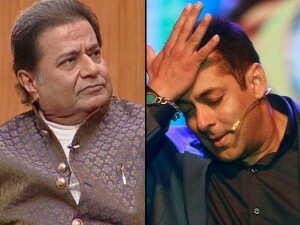 Evicted Contestant Anup Jalota Blames Salman Khan's Bigg Boss 12 For His Financial Losses! BB 12: Urvashi Vani Gets Eliminated; Hina Questions Jasleen & Dipika; Salman Bashes Sreesanth Again! Bigg Boss 12 Spoiler: Jasleen's Irked With Srishty's OCD; Megha Dadhe Calls Surbhi Two-Faced! 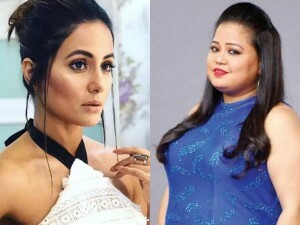 Bigg Boss 12 Weekend Ka Vaar: Hina Khan & Bharti Singh Appear As Guests Along With This Celebrity! Bigg Boss 12: Sreesanth Derogatory Comments On KV & Vikas; Sapna Chaudhary & Sana Khan To Enter! BB 12: Shilpa & Vikas Cute Banter Reminds Fans Of BB 11; #BB12WithShilpaShinde Trends On Twitter! 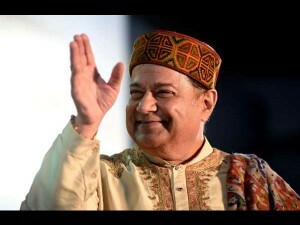 Anup Jalota Says Jasleen Matharu Used Him For Fame; Says He's Happy If Shivashish & Jasleen Date! 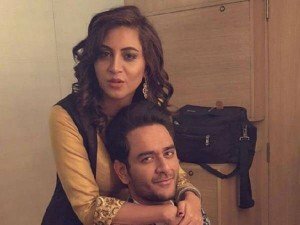 Fan Makes A Lewd Comment On Vikas Gupta Feeling Arjun Bijlani From Behind In A Pic; Vikas Hits Back! BB 12: After Revealing Their Love Story Was Scripted; Anup Says He Wants To Do Jasleens Kanyadaan! 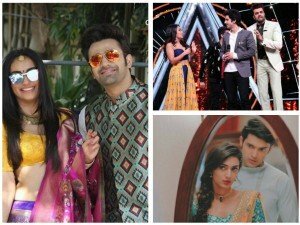 Latest TRP Ratings: Kumkum Bhagya & Kasautii Witness A Jump; Bigg Boss & Indian Idol Drop Down! Did You Know This Bigg Boss 12 Contestant Got Pregnant Before Marriage? More Shocking Facts! 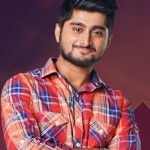 Bigg Boss 12: Deepak Thakur Is The New Captain; Is Neha Pendse Re-entering The Show? 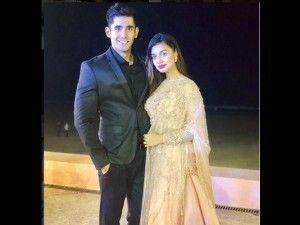 Divya Agarwal Says Ace Of Space Is Difficult Than Bigg Boss; Clarifies She Is NOT Dating Varun Sood! Bigg Boss 12: Marathi Bigg Boss Winner Megha Dhade Is In The House For Just A Week? 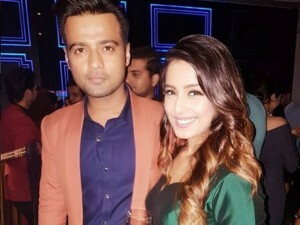 Bigg Boss 12: Will Srishty Rode & Manish Nagdev Get Engaged On The Show? Bigg Boss 12: Vikas Gupta SLAMS Sreesanth & Karanvir For Making ‘Gay Comments On Rohit Suchanti! BB 12: Fans Lash Out At Karanvir & Sreesanth As They Make Fun Of Rohit Suchantis Sexuality! BB 12: Megha Dhade To Enter Show With Rohit; Arshi To Bring In A New Twist; 4 Contestants Nominated! Weekend Ka Vaar : Salman Slams Sreesanth! 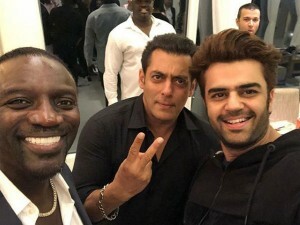 Fans Say Salman & Bigg Boss 12 Are Biased, Support Sree! 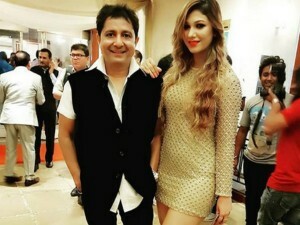 Bigg Boss 12: Did Anup Jalota Just Confirm That Jasleen Matharu Had An Affair With Sukhwinder Singh? 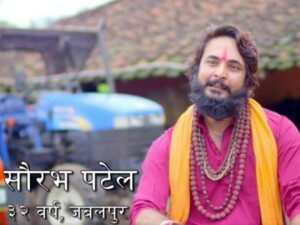 Bigg Boss 12: Saurabh Patel ELIMINATED; Anup Wants Surbhi Out Of The House; Sree's Wife To Appear! 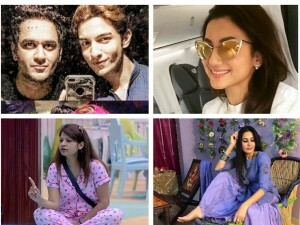 Bigg Boss 12: Srishty Rode, Jasleen Matharu, Urvashi Vani Or Saurabh Patel-Who Will Get Eliminated? Bigg Boss 12 Fans Wants Neha Pendse Back On The Show; Trend #BringNehhaPendseBack On Twitter! Bigg Boss 12 Spoiler: Karanvir Bohra, Anup Jalota & Many Others SECRETS To Be Revealed! Surbhi Calls Sreesanth Mentally Ill For Spitting On Deepak's Name; Gauhar Khan Supports Sreesanth! 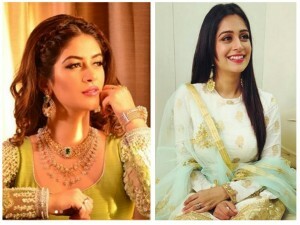 Bigg Boss 12: Neha Pendse Praises Dipika; Trolls Sree & Dedicates ‘Kya Hua Tera Wada Song To Him! Bigg Boss 12: Are Kim Sharma & Rashmi Desai Entering The House As Wild Card Entrants? BB 12: Neel Motwani, Rohit Suchanti, Chetna Pande, Rashmi Desai - Who Is The Second Wild Card Entry? 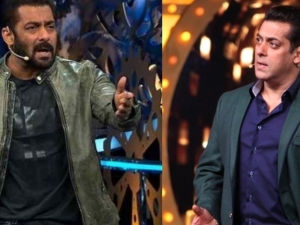 Bigg Boss 12 Spoiler: Salman Lashes Out At Contestants, Says ‘Bullsh*t, I Will Throw You People Out! 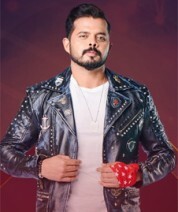 BB 12: Neha Pendse Gets Eliminated; Anup-Sreesanth To Re-enter The House With Wild Card Entry! Bigg Boss 12: Fans Lash Out At Dipika Kakar As She Failed As A Sanchalak; Support Srishty Rode! BB 12: Saba & Srishty Get Physical During Captaincy Task; Will They Be Nominated Or Evicted? BB 12: BIG SHOCK! Sreesanth Sent To The Secret Room; Karanvir Or Neha To Be Eliminated This Weekend! Bigg Boss 12 Eviction Ka Vaar: Neha Pendse To Be Eliminated? 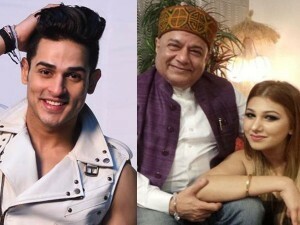 Priyank Sharma Feels Anup-Jasleen Relation ISN'T Fake! 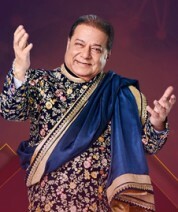 Says Bigg Boss 12 Is Classier! Bigg Boss 12 Mid-week Elimination: Sreesanth, Neha & Karanvir – Who Will Be Evicted? 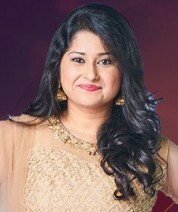 BB 12: After Anup Is Sent To Secret Room, Jasleen Gets Closer To Shivashish; Sree Plays Harmonium! BB 12 Is The Most Boring Of All Seasons! 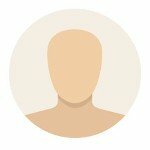 Fake Identities, Scripted Relationships & More To Blame! 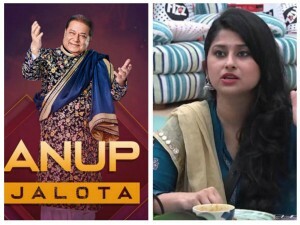 Bigg Boss 12 Spoiler: Anup Jalota & Jasleen Matharu To Get Eliminated, But Heres The TWIST! 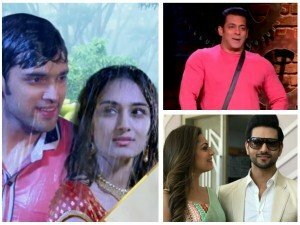 Latest TRP Ratings: Kasautii Zindagi Kay 2 Enters Top 10 Slot; Bigg Boss 12 Drops Down! 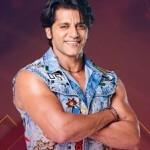 Bigg Boss 12: Karanvir, Sreesanth & Neha Get Nominated; Salmans Partner Govinda To Grace The Show! Dipika Kakar Opens Up About Life's Struggles On BB 12, She Struggled For Food Due To Enochlophobia! 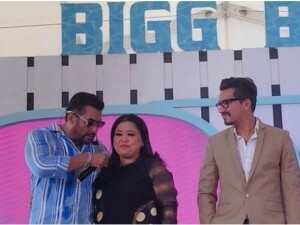 Bigg Boss 12 Weekend Ka Vaar: Bharti Singh To Enter The House, But Heres The TWIST! 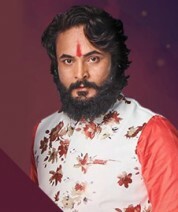 Anup Jalotas Concert Ticket Price Is Doubled, Courtesy Bigg Boss 12! 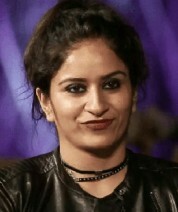 Bigg Boss 12: Tweeples Support Neha For Disqualifying Somi; Surbhi-Romil Are The New Captains! Bigg Boss 12: Srishty Rodes Fiance Manish BLASTS Shivashish For His p**sycat Comment! Bigg Boss 12 Spoiler: NO Elimination This Week; This Contestant Will Be Sent To The Secret Room! Bigg Boss 12: Romil Re-enters With Surbhi Rana; Dipika Asks Jasleen To Chop Her Hair To Save Anup! Karanvir Fans Ask Salman To Stop Humiliating Him In Bigg Boss 12; Shree Slammed For Being Sexist! Bigg Boss 12 Eviction: SHOCKING TWIST! 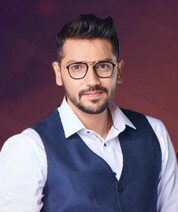 Romil Too Is Getting Eliminated; Wild Card Entry Next Week? Bandgi Kalra TROLLED For Calling Bigg Boss 12s Dipika Kakar A Worst Performer & Weak Person! Vikas Gupta Reacts To Bigg Boss 12 Contestant Sreesanths Comment; Asks Fans To Be Kind To Him! Bigg Boss 12: SHOCKING! Salman Announces DOUBLE Eviction – Kriti, Roshmi & Nirmal Eliminated? 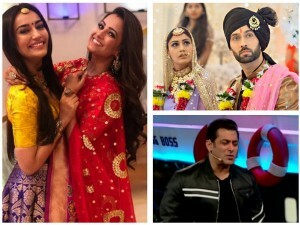 Bigg Boss 12 Weekend Ka Vaar Graced By Love Yatri Stars; Salman Khan Does Garba On Indian Idol 10! Latest TRP Ratings: Bigg Boss 12 Brings Colors Back To Top Slot; Sony TV, Kumkum Bhagya Drops Down! Bigg Boss 12s Deepak Thakur Makes Fun Of Hina Khans Pooh Act & Its Hilarious! Bigg Boss 12 Highlights: Day 12 – Neha Pendse Is The New Captain; Deepak & Somi Get Into A Fight! Bigg Boss 12 Weekend Ka Vaar: No Elimination; Anup Sent To Torture Room; Sreesanth Wants To Leave! Jasleens Father On Her Affair With Anup: It Has Become Difficult To Step Out & Meet People! Bigg Boss 12: SHOCKING Revelations By A Model; Says Jasleen Matharu Had Aborted Anup Jalotas Child! Bigg Boss 12 Day 5 Highlights: Sreesanth Breaks Down; Srishty Feels Lonely; Kriti & Somi Argue! Bigg Boss 12 Weekend Ka Vaar: Salman & Varun Dhawan To Rap; Jasleen-Anup To Be Sent To ‘Khaas Room! SHOCKING! 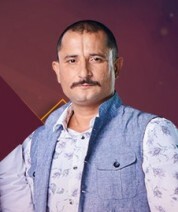 Bigg Boss 12's Saurabh Patel Caught For Lying; His Major Secrets Revealed! Bigg Boss 12 Spoiler: Karanvir Bohra & Nirmal Singh-Romil Chaudhary Sent To JAIL & We Know Why! Bigg Boss 12: SHOCKING! Jasleens Father Says He Will NEVER Approve Jasleen & Anup's Relationship!